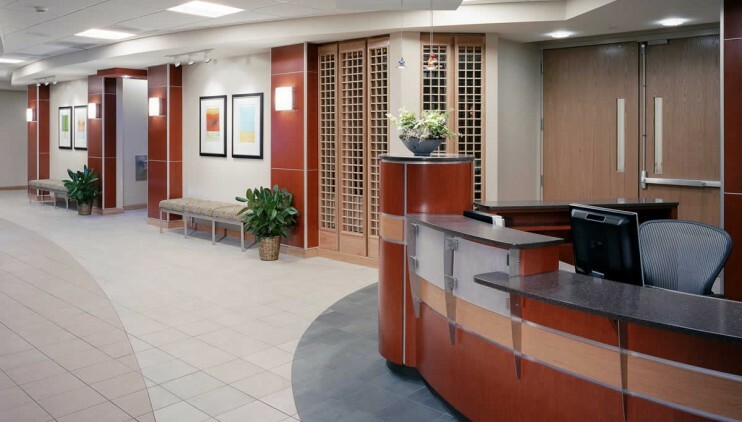 The main waiting area of the Emergency Department faces the friendly staff at the greeter desk, eliminating the ambiguity of hospital protocol and allowing the previously exposed triage staff to work without interruption, thus decreasing the wait time. The soft finishes absorb the sound and the wall sconces provide lower levels of light. 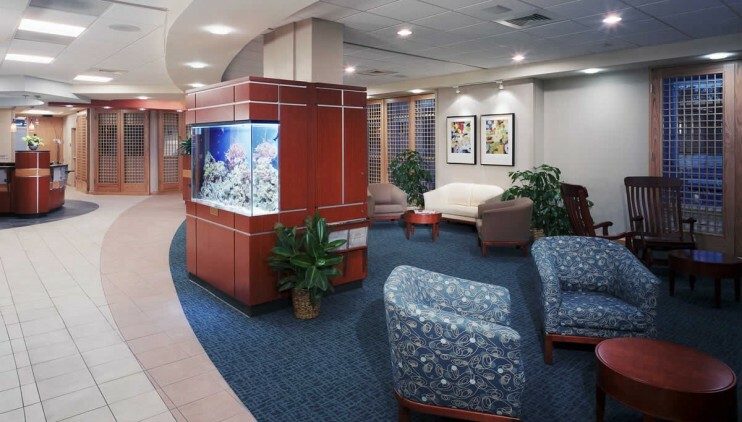 The adjacent cafe area and salt water aquarium add comfortable touches reinforcing the concept of familiarity. Inside the unit, the 10-bed convenient care unit was renovated to 16 universal rooms to support higher acuity patients and accommodate hospital overflow. A double headwall system, accessible from either side of the patient was articulated to the particular needs of the caregiver. 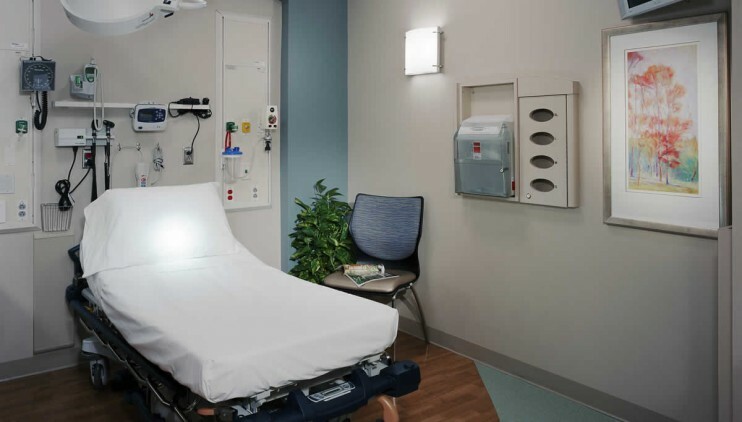 Innovative casework allowed access to linens from outside the room, allowing the patient to remain undisturbed. A colorful but muted palette adds visual interest without being over stimulating. 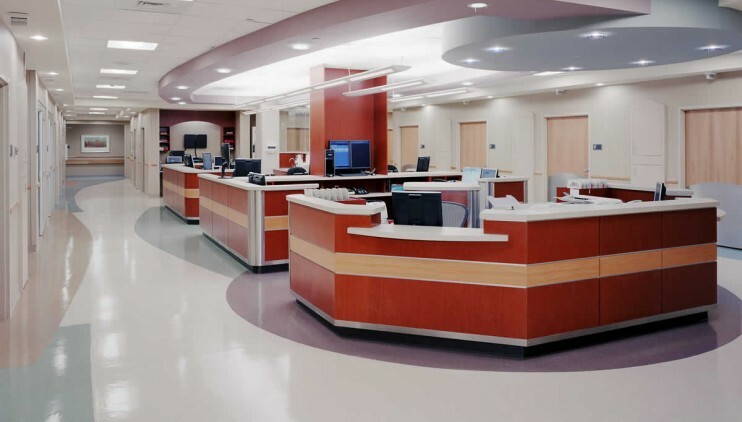 Undulating curves in the flooring pattern and soft round vibrant soffits soften the geometry of the expansive nurse station. 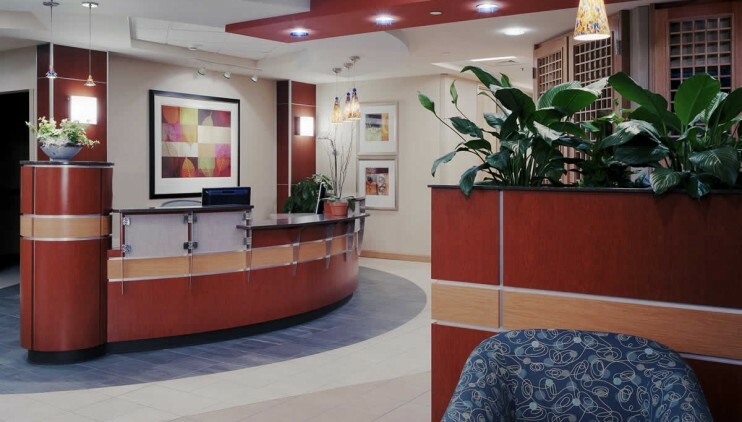 A generous artwork program adds the finishing touch to a workhorse program with a sophisticated healing centered design and a view towards the future.